CimJet Label printer applicators are recognised for their high-quality printing, outstanding reliability and rugged durability in the toughest of manufacturing environments. The proven design delivers accurate, clear, crisp codes and 100% readable barcodes meeting GS1 (UCC-EAN) standards to enable superior visibility in the supply chain. Synchronised label and ribbon changes minimise potential operator error and contribute to the Cimjet’s recognised reliability. The CimJet offers a range of label applicators such as corner wrap and tamp blow applicators to meet customer demands. Plugin barcode scanner provides instant confirmation of label application and barcode read. 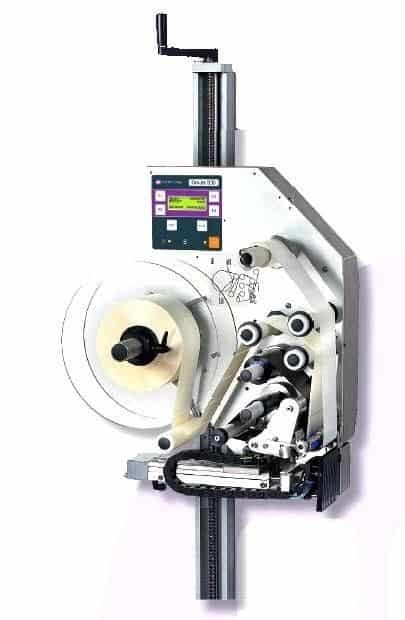 CimJet labelers can be run independently without the need of a local PC or network connection. Integration into packaging lines, databases and ERP systems is flexible via CoLOS® Enterprise Software.